According to Michael Ehlert, president AMSA, the collaboration will be "able to provide a comprehensive loan program that best suits the needs of all medical students." He expressed his satisfaction and said, "AMSA is now in the position to educate medical students in partnership with one of the premiere education planning and financing companies. 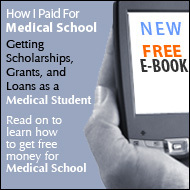 AMSA has always provided premium resources for physicians-in-training. This ground-breaking program finally provides students the tools to make well-informed financial decisions to cover the cost of their educations." Nelnet has been serving education-seeking families and helping them to plan for their educations for the past 28 years. The company also plays a role in preparing families for their career and helps with paying for their educations. The company has significantly invested in products, services, and technology improvements not only for students, but also for the educational institutions they attend. AMSA is the oldest and largest independent association of medical students with more than 50 years of medical student activism. A non-profit organization founded in 1950, AMSA is committed to addressing the concerns of physicians-in-training. AMSA is also committed to improving medical training and advancing the profession of medicine for its 68,000 members, including medical and premedical students. Its strategic priorities include universal healthcare, diversity in medicine, disparities in medicine, and transforming the culture of medical education.